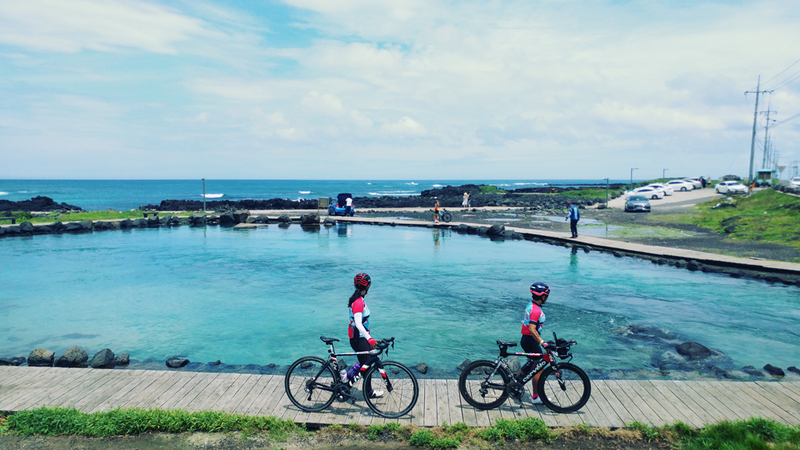 Although there are a lot of bicycling trips around the country, is there any other place for Korean bicycle riders like Jeju Island as a domestic bicycle travel destination ? 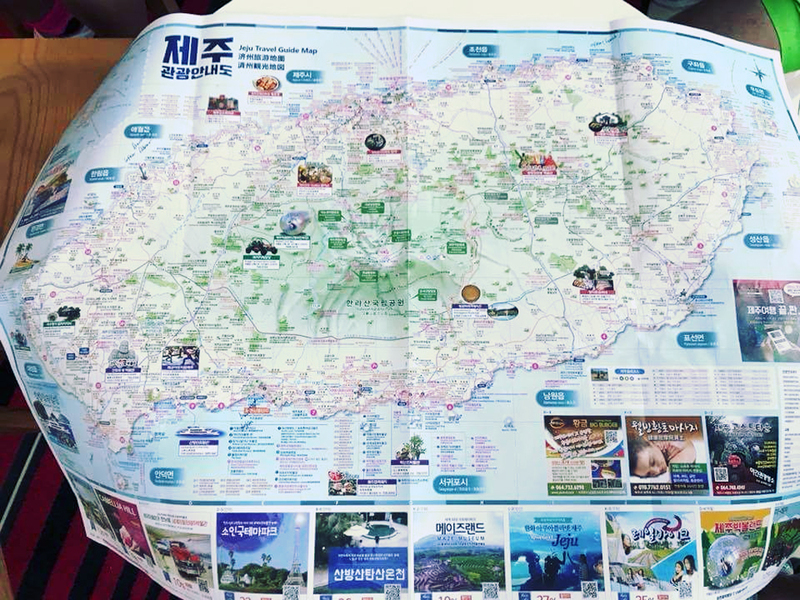 Jeju Island is just one province of Korea's provinces, but even though domestic travel to go across the sea, only the heart is a notch with exotic scenery as much as the color of the sea is a place no less international travel island coast . 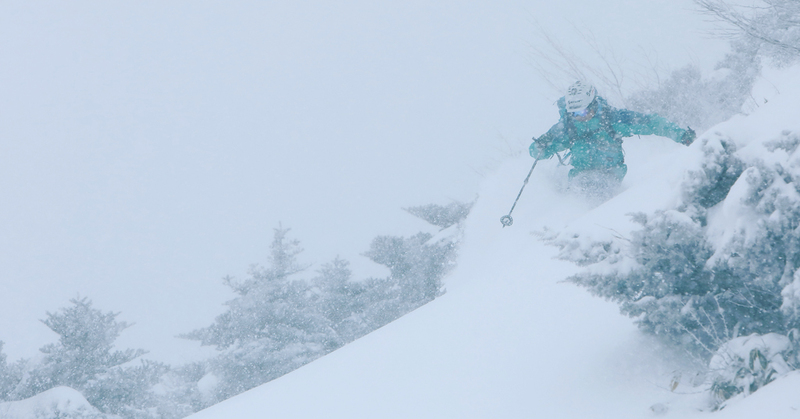 In fact, we are going to see the guests and often snow in the winter than going Mt bike ride on the island . 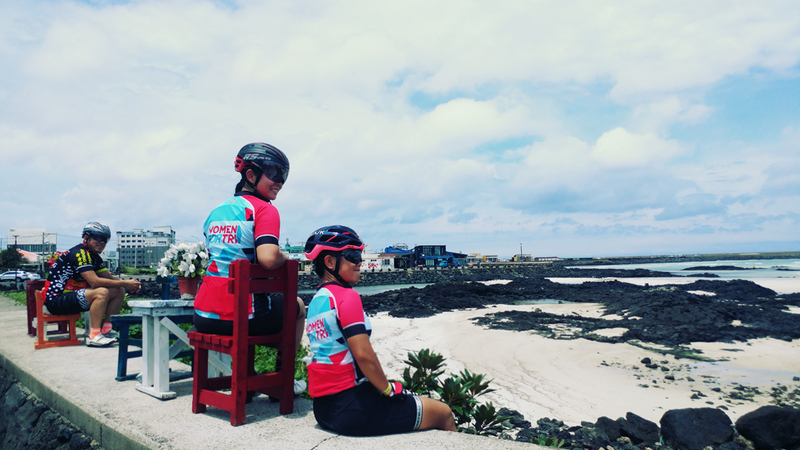 But steadily a lot of requests to the island bike tour beginning this year, this time specifically wateotgo Hong Ironman 3 species of Association and the riders who visited the bike path tour of the fantastic island . Two months ago, we received a request from a VIP customer in Hong Kong . 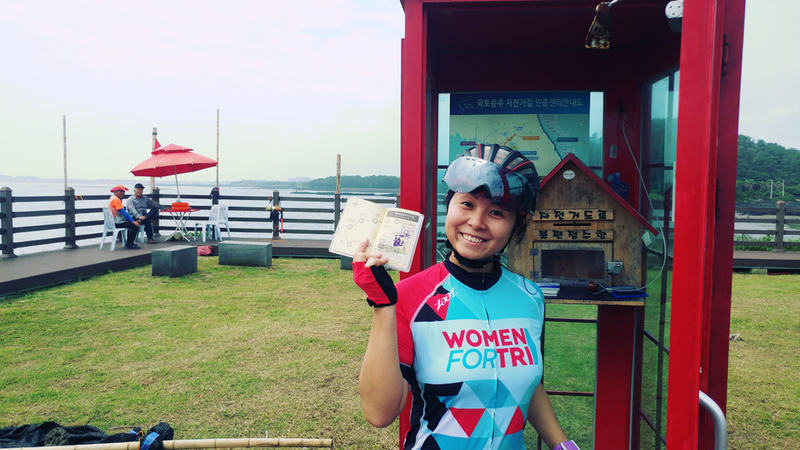 Stephanie Yee is 2017 years and 2018 with Giant adventure in years, our TEAMAX ADVENTURE of Seoul - inde passionate bike tour enthusiasts who had participated in Busan Ministry racism bicycle tour twice , Hong Kong, Ironman 3 in group activities servants associations affiliated triathlon third and species My husband and Hong Kong Ironman 3 is also the kind of president . 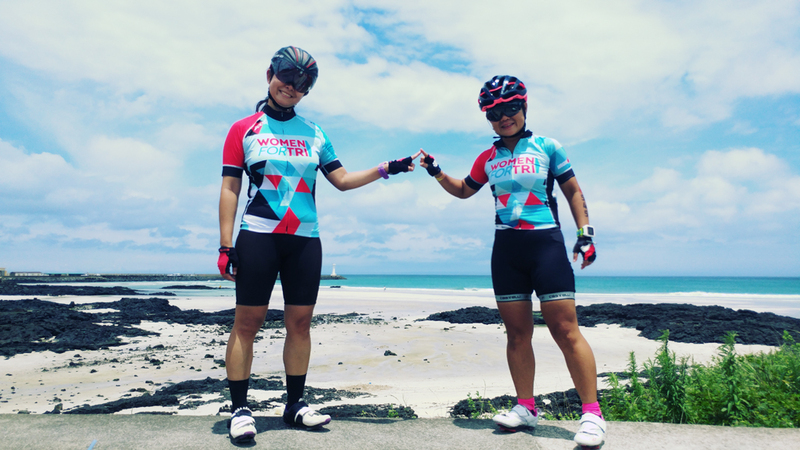 This place is, but also the team Max Adventure Travel Hong Kong Ironman 3 was also the place to introduce the kind of association . 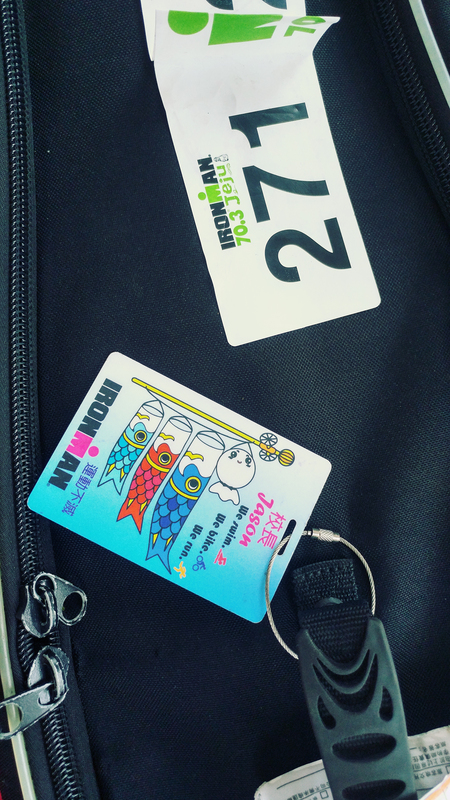 Stephanie and her husband and their associations, including the coach, including seven in January Kong Ironman 3 held in the kind of player associations and interest groups who yirang Jeju , Jeju70.3 IRON MAN ' to participate in the competition ,After the game, I wanted to take a bicycle trip along the beautiful Jeju-do coastal road for about two days .It will be a recovery riding, a traveling, and a riding of one and two . 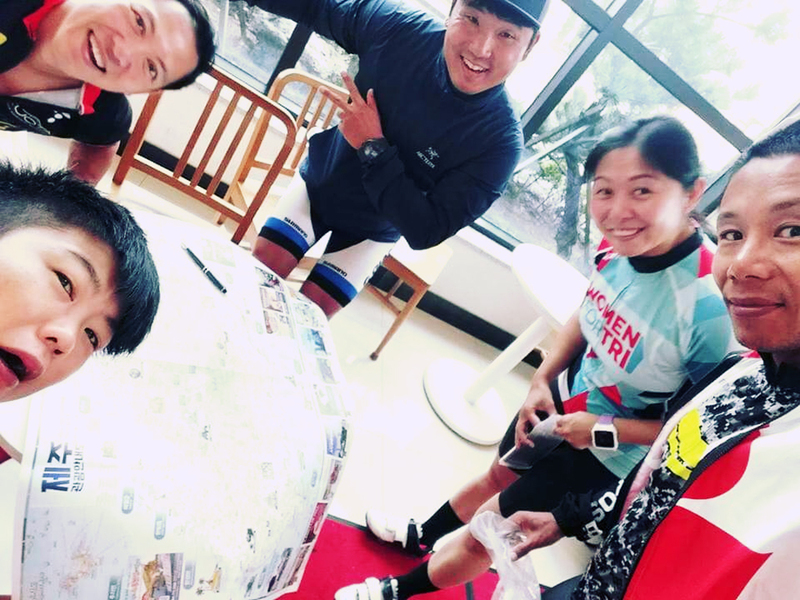 Hong Kong Triathlon three species Association coach and club players in rision hotels Pyoseon Beach met on Monday morning . Haeteotneunde to the original association executives participate more minutes , then scratched cornea in the eye during a swim in the fight to urgently went back to Hong Kong . 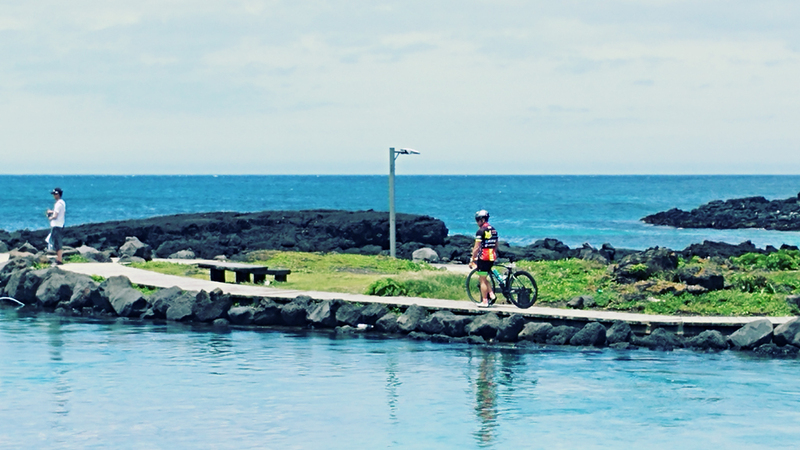 So I started a tour of four bicycle routes with Jeju Island . 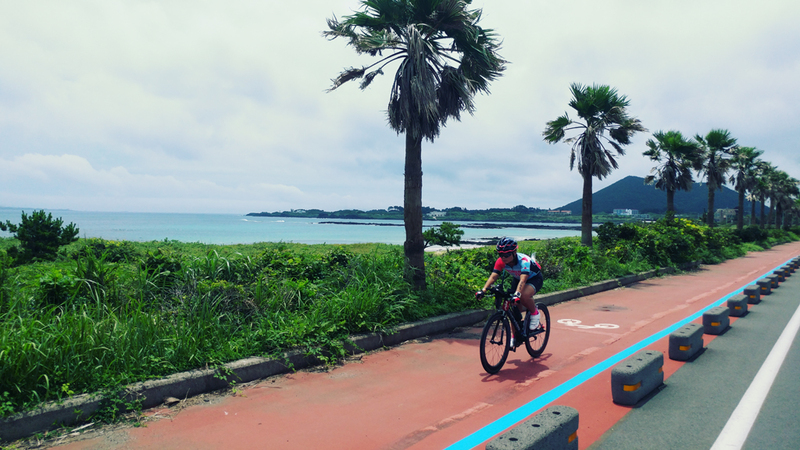 Seongsan is a nice bicycle road to Seongseon beach . I ran for the first time in the warm-up run lightly urine output , I hold out the scenery slip up Seongsan Sunrise Peak 26km for 50 abandoned and in minutes . It seemed that it was a bit faster than the itinerary, so I offered to go up to Seongsan Ilchulbong and I wanted to go up . 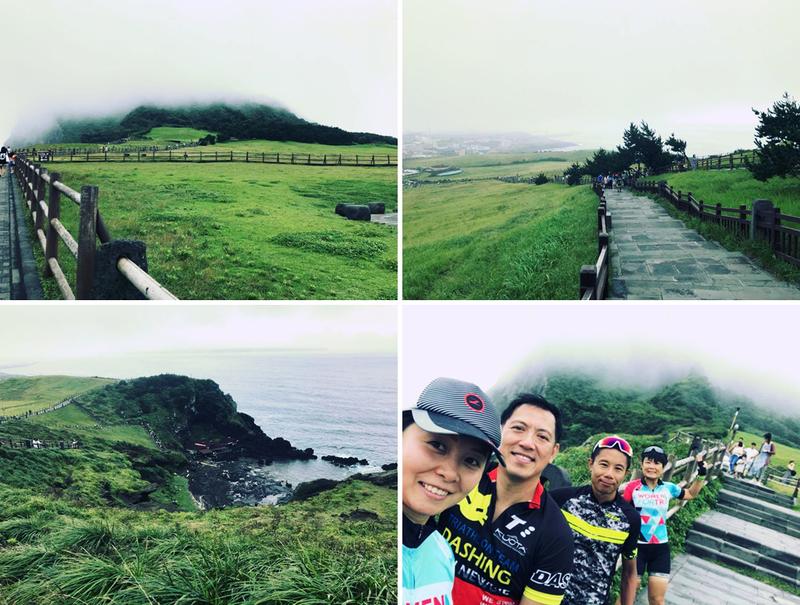 Above all, the party was very impressed with the scenery of Seongsan Ilchulbong, and it was so strange to see the fault of Seongsan Ilchulbong, which shows the age of Jeju Island . 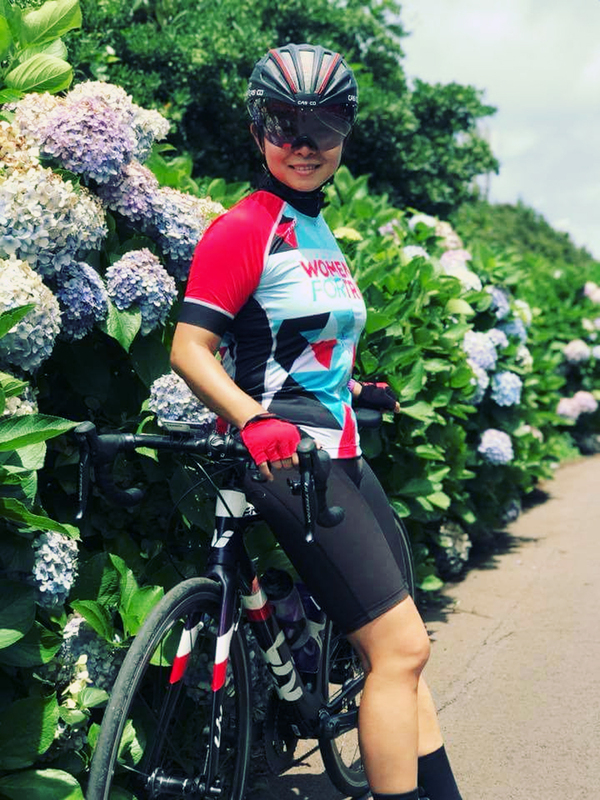 When you get out of the Shiroyama Hiji peak, you can see a feast of purple hydrangea flowers breathtakingly beautiful on both sides of the road . 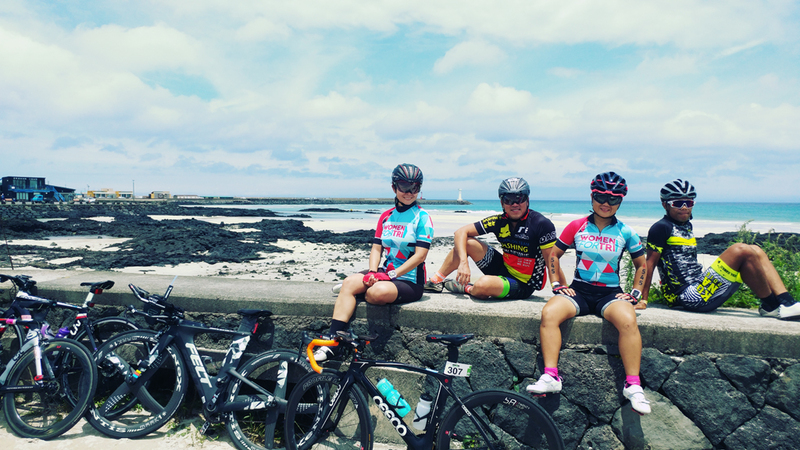 As soon as you get out of the waterway , you meet the Sehwa Beach , where beautiful beaches, black rocks and blue skies catch the riders' feet . 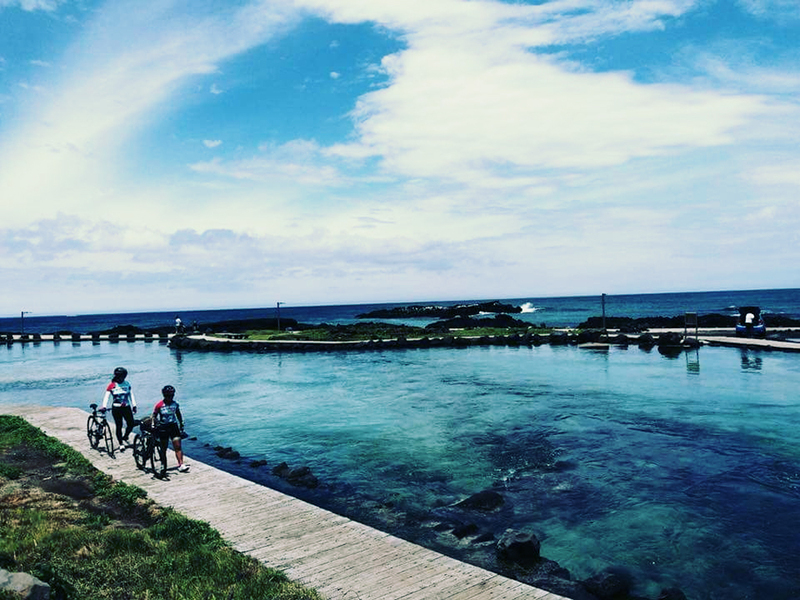 In fact, it is difficult to ride fast when riding a beach in Jeju Island . This is because there are so many places exoticly beautiful in many places . Sehwa beach is a great place for couples to leave photos of their life . High resolution passed the Beaches Now in seulseul times started to come hungry , this time just as nowadays most hot place in Jeju (Hot place) regarded to have met monthly beach clean up . It is the best place for lunch because the beach is full of beautiful cafes and restaurants . Eotneunde Stephanie bonaejwot list of food you want to try by all means challenge from Hong Kong to Korea Cheju , you can eat one thing to see here in May during its cleanup . It was a seafood hotpot made with seafood caught directly by a sea lady . There is a famous seafood restaurant on the beach . It is very interesting for foreign tourists to have a variety of fresh seafood in a big pot and dancing among them . Perhaps the most impressive view on the northeast coast road of Jeju Island is probably the appearance of this wind power generator . So I try to pass the wind generator , Hong Kong riders are stopped . " Why ?" And I go up , there was a place where water from the inland side of incredibly reservoir where the clear emerald waters meet . 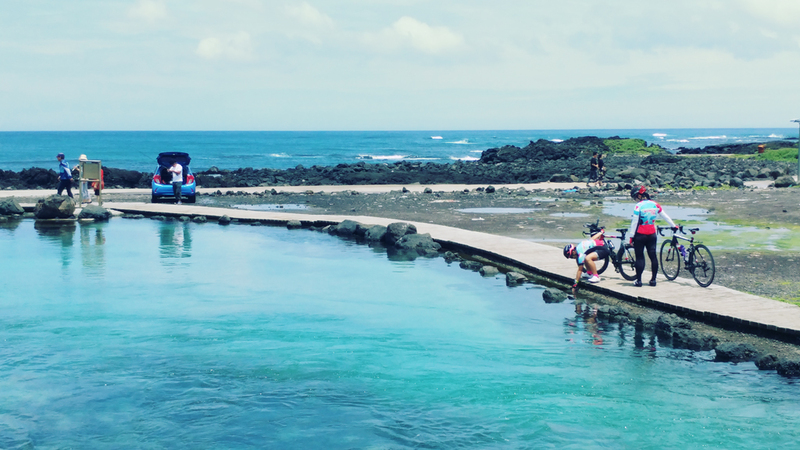 Everyone got off the bike and looked at the water for a while , but something unknown came closer to the water as if to attract us . It was clear and transparent water as if you were not allowed to dive without hesitation . 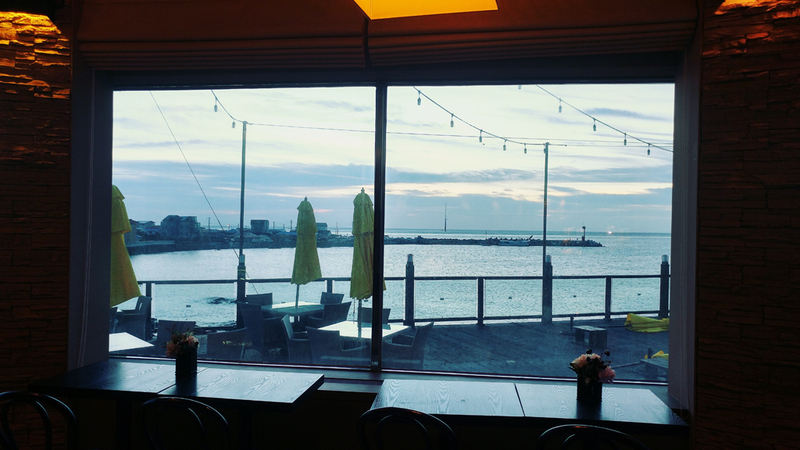 I was so happy to discover this new place on Jeju Island . We all stayed there for a while, admiring the mystical water color and forgetting about the bicycle . 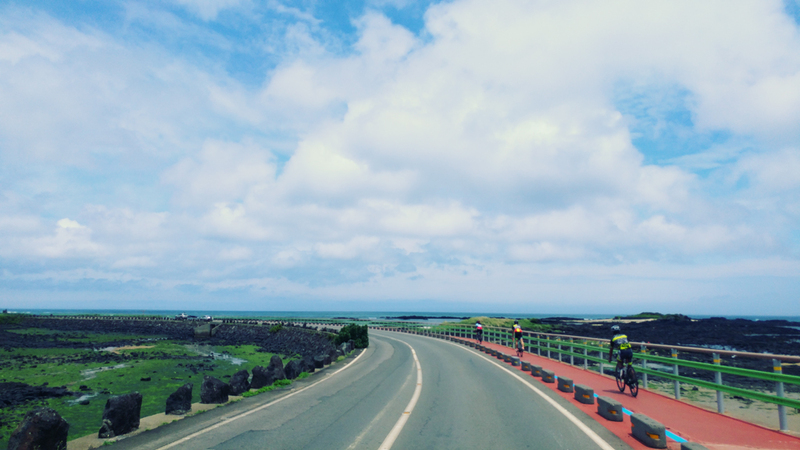 After a while, I set my mind and turned the bicycle pedal toward Jeju City Hall . When I entered Jeju city, I had to be careful about the car because I did not have a real mind, and I had to run over to India . Once past the large concrete building and automobile exhaust and horns just re-met with Yongduam side coast comes out of deep relief sigh eyes of riders there is lead to the shore landscape again , northwest two are at the sunset of the island a good point of the coastal landscape I can see it . 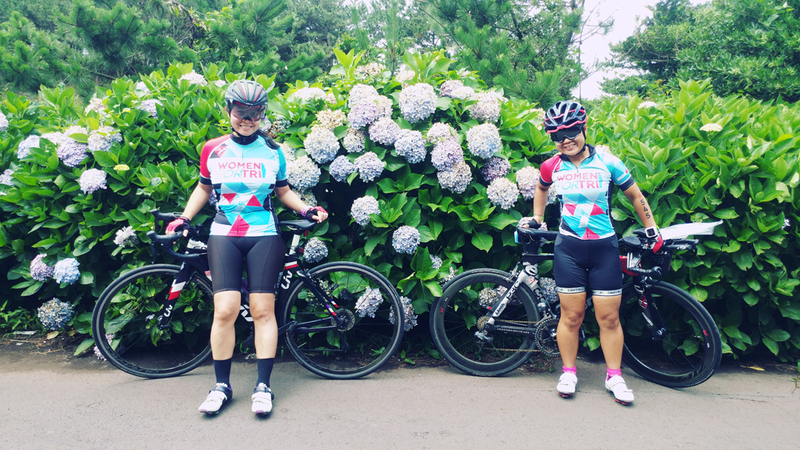 We are looking forward to seeing the back of the bicycle riders back to the scenery. We arrive at the resort in Hanlim, the first day of our stay, and check in and dream of tomorrow .